Add a mod twist to any nautical theme! 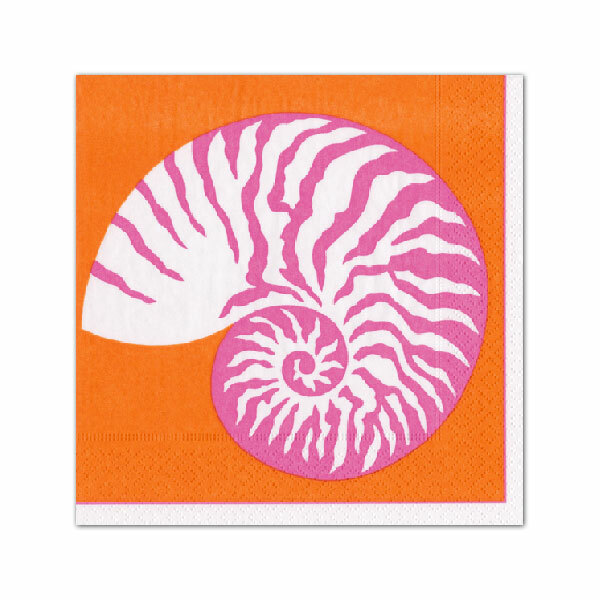 Caspari Nautilus Cocktail Napkin featuring a pink nautilus shell on a bright orange background. Add a mod twist to any nautical theme!